I just read your article on focus keywords and you said that the focus keyword does not affect your SEO. So the YOAST plugin is not really an SEO optimizer, but rather an SEO analyzer? I know with Google’s Hummingbird update that meta-tags are not so essential, so my real question is how can I actually SEO optimize my site? However, if you have a ONE PERSON blog, every single one of those archives will be identical. That means the exact same content/results exist in three locations. This is duplicate content, which Google doesn’t like. 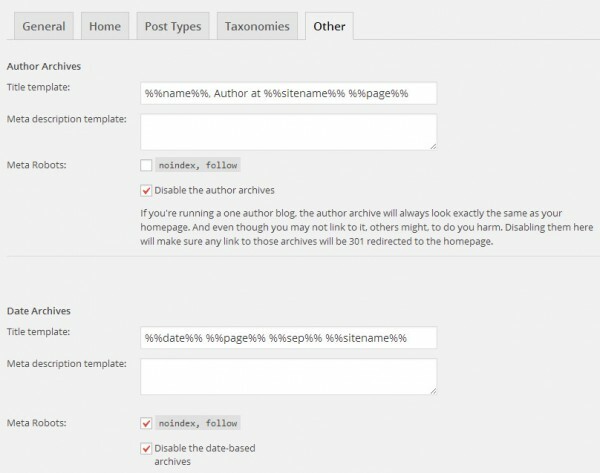 The Yoast plugin allows you to easily disable these archives for search engines. You can do this by going to SEO » Titles & Metas and clicking on Other. On this page you can choose to Disable the author archives and Disable the date-based archives. Having an XML sitemap is essential. It helps Google (and other search engines) more easily find the content on your site and crawl the posts/pages. WordPress SEO by Yoast allows you to create an XML sitemap, which you can then give to Google using Google Webmasters. Stop words are words like, a, by, is, or, and, etc. Google does not take these words into account when performing searches, so having them in your URLs is pointless. It just adds extra length to your URLs. By cutting out these words, your URLs will be shorter, more to the point, and be more focused on the important keywords. The Yoast plugin has a checkbox that allows you to automatically remove these stop words from your URLs. It’s true that a large part of what Yoast does is analyze your SEO. Sure, when you make a post you can add a custom title and description. But ultimately, in most cases you probably want your search result title to be the same as your post title, and Google often doesn’t use the description anymore anyway. However, after that, all Yoast will do for you on the post page is analyze your SEO and tell you how well optimized it things your post is. But what a lot of people don’t play around with are the settings. The settings panel can help your SEO in minor ways, but it all adds up. It’s certainly worth having the plugin even if just to configure a few settings, remove duplicate content, and generate that XML sitemap! Do you use WordPress SEO by Yoast? Have you configured the settings? I have a question though. For the sitemap, do you keep all the taxonomies checked? There are 7 taxonomies for UBB (authors, format, and so on). I was wondering if it’s more efficient to remove them or keep them? I’m not 100% sure on this answer, but basically an XML sitemap tells the search engines where to find your content. Beyond that, it doesn’t actually affect what gets indexed or not. It just better helps the search engines find stuff on your site. So with that in mind, I don’t think there’s any downside to having redundancy in your sitemap (so having all the taxonomies included). Personally, I think it would be useful for search engines to crawl my taxonomy pages, because people might want to search for books in a certain genre or by a certain author, so including them in the sitemap will help search engines better find those archives. 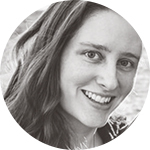 Hi Ashley, thank you so much for this post, I hadn’t realized that about the duplicate content even though I’ve been using Yoast for about a year, ha. I just submitted Yoast’s XML sitemap to Google and noticed I have one already from a different plugin. Is it really bad to have two sitemaps submitted? Should I delete the other one? I don’t know what I would do if I didn’t have this place for reference. Every time someone asks a question (it seems) I end up at the very minimum learning something new, or applying things to my site that I didn’t know about. Like this one for example. You’re like an incredibly friendly encyclopedia of “must have” web tools and techie knowledge. I would not survive without you! I do use it and no I haven’t configured it. Now on today’s to do list. I use Yoast on Obsessive Book Nerd, but there is a lot of tools i’m not utilizing. I use the key word tab for every post/page. But that’s about it. Pingback: Weekly Recap| Jul 6-12, 2014 | Oh, the Books! I;m trying to learn more information about SEO, and this post is really helpful Ashley! One question though- when I go to the plug-in settings and click on the button that allows me to view my XML Sitemap, it says my sitemap index file has 13 instead of just 1. Is this normal? You mean it says something like this? That’s perfectly fine. You would have a different sitemap for each ‘section’ of your site. So one for posts, one for pages, one for categories, one for tags, etc. And if one of those gets too big, Yoast may split it up into multiple parts (so like tags part 1, tags part 2, etc.). Thanks for sharing this information, I’m struggling to put my sites on top of google, it takes patience.